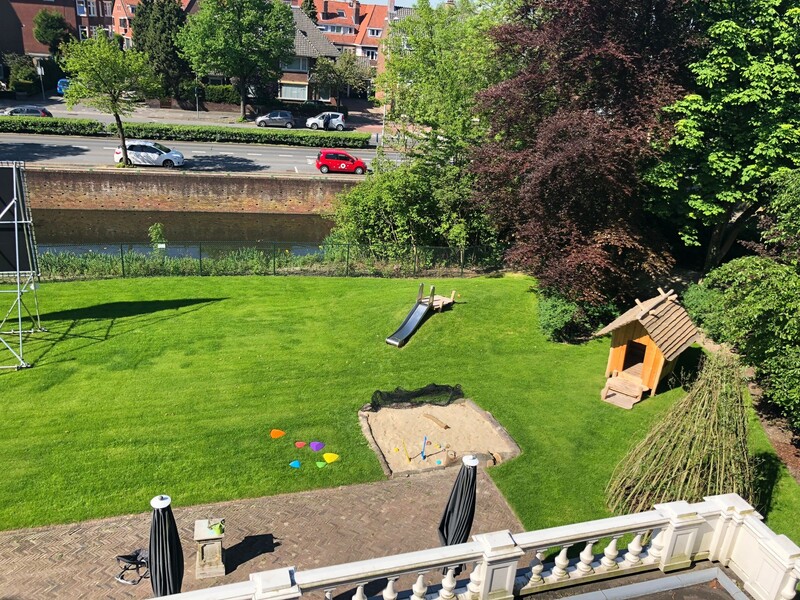 By turning landmark location 'Huis de Werve' into a Zein Childcare centre, we can introduce expats and internationally minded families in the Leidschendam-Voorburg area and beyond to the standards we set as a childcare provider. Under the name 'The Little Castle', the beautifully remodeled and classically decorated location will offer premium International Day Care for little princes and princesses aged 0-4 years. Towards the end of 2017, we received permission from the Gemeente Leidschendam-Voorburg to transform the monumental building 'Huis de Werve' into a prestige childcare centre. From December 2017 to March 2018, general internal remodeling and redecorating took place to achieve the high standard of facilities Zein locations are known for. During this time, the grounds of nearly 5000m2 surrounding the property were also transformed to provide a fully equipped natural playground for countless hours of outside play. The spaces are decorated with natural colours, stylish wallpaper and soft carpeted areas to create a homely learning environment. The interior design of Zein centres is so integral to the approach that we have produced our very own furniture line to use within them. ‘Dutch DeZein’ furniture brings the outdoors inside by using smooth wooden forms that bring the outdoors inside by using organic shapes reminiscent of a tree. The line also includes pieces that support the imaginative play aspect of Zein’s pedagogic vision – like a kitchenette with adult and child height sinks, and a play arch set up where, with the help of a large blanket, a play hut can be created and children can let their imagination run wild…In addition to the five day care rooms, the location offers a fully equipped kitchen where the full-time chef will prepare warm and organic meals and snacks for the children, a large central hall (living room) to provide extra space for indoor activities and a large natural garden with age appropriorate areas and different play zones. Zein is open to all families with an international mindset who value the advantages that an international childcare environment can bring. 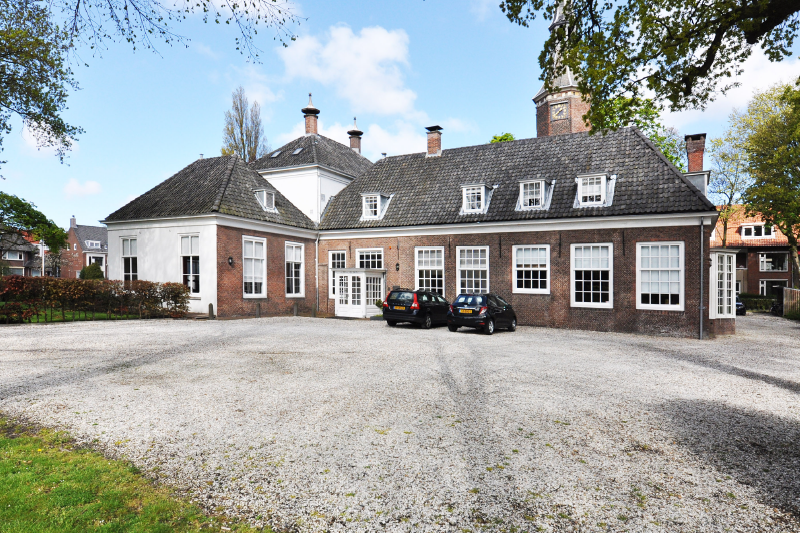 We look forward to providing the high standards of care that Zein is known for to both international and Dutch families in Voorburg and beyond at The Little Castle. To avoid disappointment, timely registration is advised. Our friendly team would be delighted to welcome you at 'The Little Castle' for a personal tour to see the programme in action, meet the staff, get a feeling for the atmosphere and ask any questions you may have. Very large natural playground with age appropriate areas and different play zones. Suitable for 5 groups of 12 to 16 children (average group occupancy is 12), this Day Care location will be open for children aged 3 months - 4 years. This particular location will host a pilot for one bi-lingual room in September 2018. The Little Castle has a private car park for clients and staff which also offers ample bike parking. Although it can understandably get busy during peak times there is also space to park around the location on the street. By train: disembark at stop ‘Station Voorburg’ and you will have a 9 minute's walk to The Little Castle. Tram 2 and bus 23: disembark at stop 'Mgr. van Steelaan' and you will have a 10 minute's walk to The Little Castle. Bus 45: disembark at stop ‘Heer Hubrechtstraat' and you will have a 3 minute's walk to The Little Castle. The Little Castle offers Zein's unique Early Childhood Curriculum, providing an internationally-oriented learning environment with an integrated programme that allows for the individual development of each child to be properly catered for. The vertical grouping provides a home-like setting with the placement of siblings in the same group, allowing younger children to be encouraged and stimulated by the other children - and teachers - around them. Additionally, it ensures childen can stay within the same group and with the same teachers during their time in day care. For more information on our programme and approach please visit the day care section of our website. Similar to our other locations, the first Day Care groups to open at The Little Castle will offer a English-speaking environment. 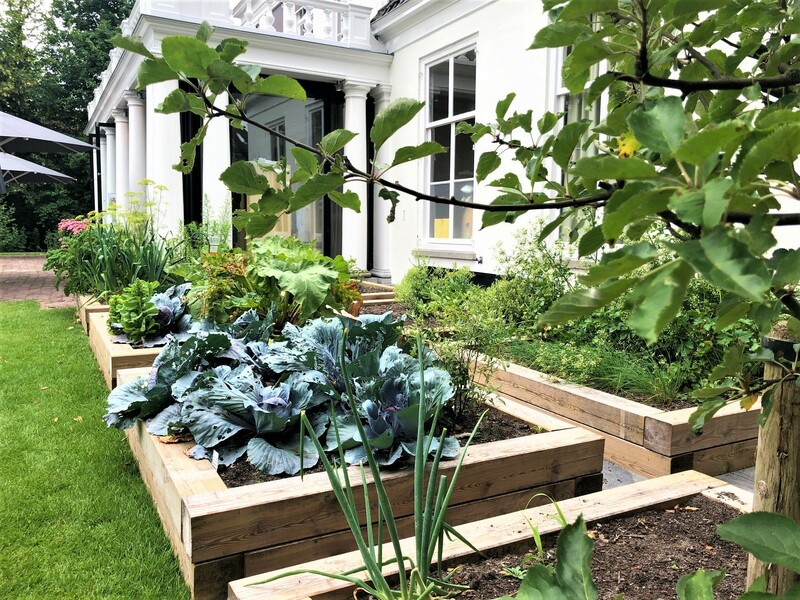 End of August 2018, a bilingual group will open at the location offering a English-Dutch environment to children aged 13 months to 4 years. The bilingual group will offer the same unique Early Childhood Curriculum and Approach as the fully English-speaking groups. More information on the bilingual group can be found here. Applications for a place can be made via our Day Care application form which provides a tickbox for bilingual care at The Little Castle.